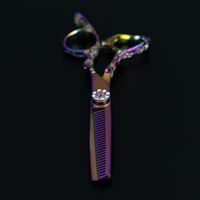 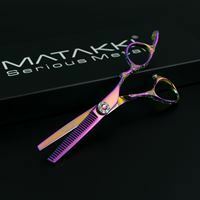 The Matakki Gem thinning scissors are an absolute necessity for your collection and a great addition if you already own the scissor. 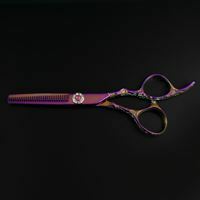 Handcrafted from Japanese Aichi steel, perfectly balanced, extremely smooth and super sharp. 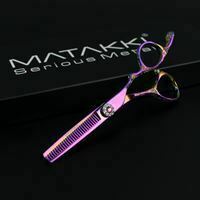 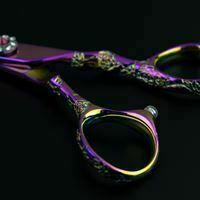 Japanese flower engravings into the handles and then finished with a super strong multi coloured titanium coating to protect your scissor further. 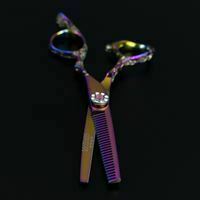 A cut ratio of between 30/35% of hair is removed.